Finding the right business school is a process. As you gain clarity about how different programs support your ambitions, learning style, and career focus you’ll start to pick up on the intangibles—what does each school value, how does it feel on campus, what are the people like? 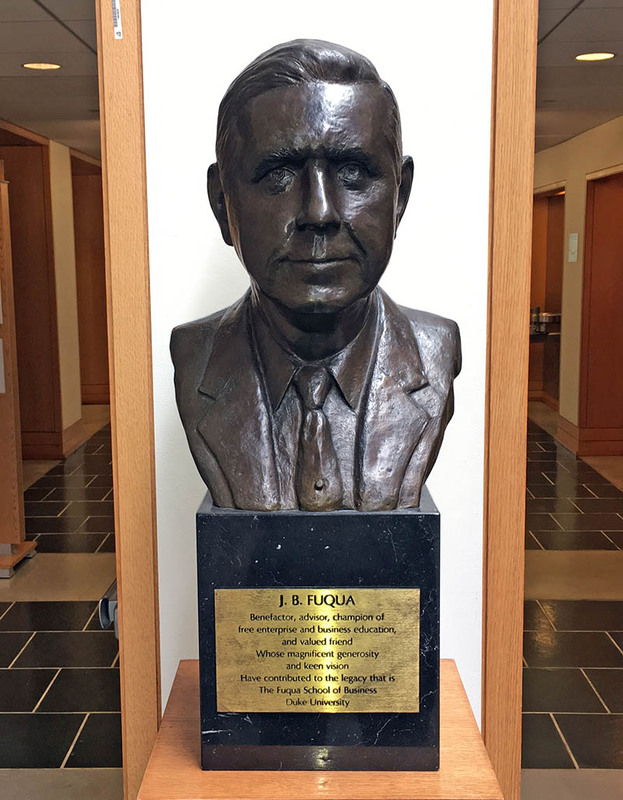 The best way to learn about Fuqua is in person. We focus on your success throughout the entire admissions process, creating different kinds of opportunities to explore our programs and connect with people in our community. While all Fuqua admissions events are open to all applicants, some activities focus on specific interests or programs. Here is what happens at different kinds of events along with a few tips on how to get the most from the experience. Fairs invite multiple schools to one location enabling you to gather information on a range of programs. While fairs can be offered virtually or in person, either format lets you connect with representatives from several schools. Tip: Fairs are an efficient way to gather information about different programs, but the volume of participants means your one-on-one time might be brief. Doing research ahead of time ensures deeper conversations on site. Forums are hosted by our admissions partners to focus on a specific audience or topic, offering seminars and panel discussions with admissions guidance for that area. These events enable you to gain insight on general issues while learning about specific possibilities at different schools. Tip: Take advantage of the opportunity to broaden your network by making connections with other forum participants – including the experts, employers, and business school alumni who share your interest. Multi-School Events involve a small set of schools who partner together to provide an overview of the application process and tips for success. Typically this format includes a panel discussion of participating admissions officers followed by a networking period where applicants can connect with representatives directly. Tip: This format enables deeper conversations so bring your specific questions about different programs. Take advantage of the opportunity to connect with alumni and current students whenever you have a chance. Information Sessions are focused events orienting you to a specific school and its programs and sharing guidance on applying. Typically alumni and current students participate to share their first-person perspective. Tip: These events allow you to focus deeply on key elements of the program. You can gain insight on how the admissions committee thinks about different elements of your application, and get a robust sense of the experience from people who have been in your shoes. The Diverse Perspectives series invites prospective students to learn about Fuqua’s long-standing commitment to diversity in all its forms, including an overview of our programs along with an opportunity to discuss the experience with members of our community. Virtual Information Sessions enable you to participate in an online discussion about Fuqua programs. Topics and formats will vary - from program overviews, to student discussion panels, to financing your degree, to application tips – but sessions typically include a mix of presentation with live Q&A. Meet and Greets are informal office hours hosted by our team in cities around the world. You’re encouraged to drop by for 5 minutes or an hour to get answers to your questions about our programs, academic preparation, and the admissions process. Tip: Feel free to seek guidance on your application or ask for our thoughts on how best to prepare for your interview. Coffee Chats are casual opportunities to meet with our admissions teams in different cities. These gatherings enable you to explore our programs in a smaller group, allowing for more specific questions and answers. Tip: While conversations will vary depending on the focus of participants, these gatherings are a great way to connect personally with our team. We love getting to know candidates – it is one of the best parts of our job! Networking Receptions invite students and alumni of a specific Fuqua program together with prospective students for that program, to network over food and drink and discuss the program experience. Tip: These larger events provide an opportunity to learn from a wide range of people who have been in your shoes. Explore why they chose their program and the impact Fuqua has had on their career. Informational Lunches bring admissions officers and other members of the Fuqua community together with candidates to learn about our working professional programs in a casual setting – typically lunch, but occasionally as a breakfast or a dinner. Tip: These events draw alumni and students from a range of industry and functional backgrounds, so as you learn more about the program take advantage of this opportunity to build your network in an area of interest. Campus Visits and Open Houses enable you to take part in a range of activities to help you learn more about a program. While you have the option to select the specific components you prefer, your visit might include sitting in on a class session, having office hours with the admissions team, interviewing, learning from a student panel, taking tour of campus, and perhaps lunch. 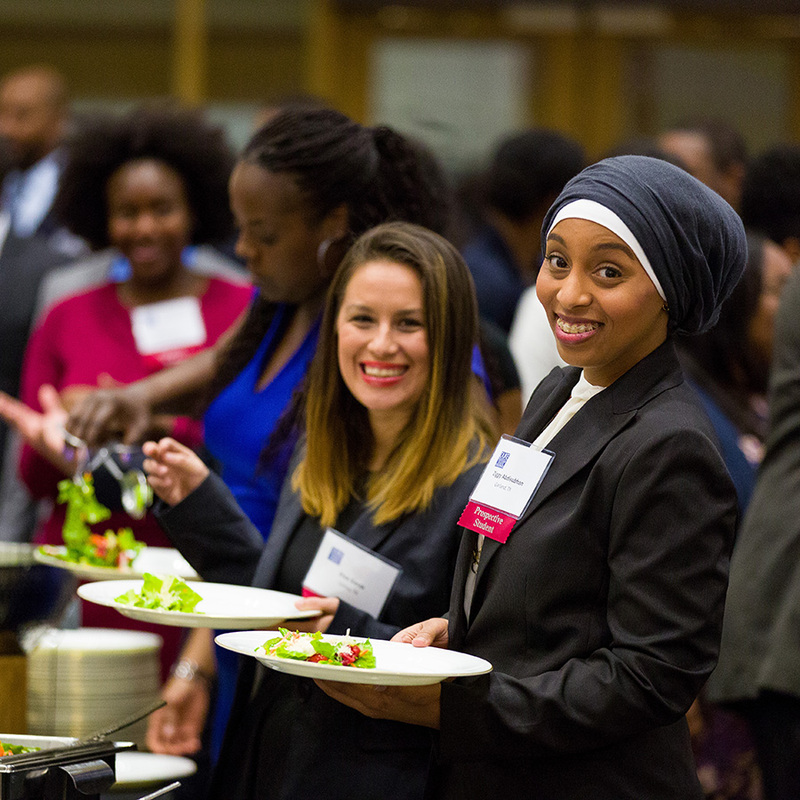 Diversity Weekends are a series of campus immersions that offer insight into the Fuqua experience from the perspective of members of a specific audience. These events are held annually and application for attendance is required. Executive MBA Class Observations provide an opportunity to experience our working professional MBA programs. You’ll observe class either in Durham or at our residency location, and participate in a Q&A session with the admissions team afterwards. Executive MBA Open Houses take place on our campus in Durham or on location at a residency. You’ll have the opportunity to learn about the curriculum, academic preparation, and the application process for our Executive MBA programs, followed by breakout sessions to discuss individual programs and engage with alumni panelists who answer your questions. 1. How do you pronounce Fuqua? 2. What kinds of companies come to campus? 3. How accessible are faculty? 4. Why teams and case-based learning? 5. When do I need to have my application ready? 6. Where do most students live in Durham? Ask us in person at an event! Fuqua is committed to increasing the number of women in business school and the upper ranks of corporate America. We have partnered with the Association of Women in Business to host a Weekend for Women focused on building the pipeline of women in business . Participants experience classes firsthand and engage in discussions with faculty, alumnae, and current students. 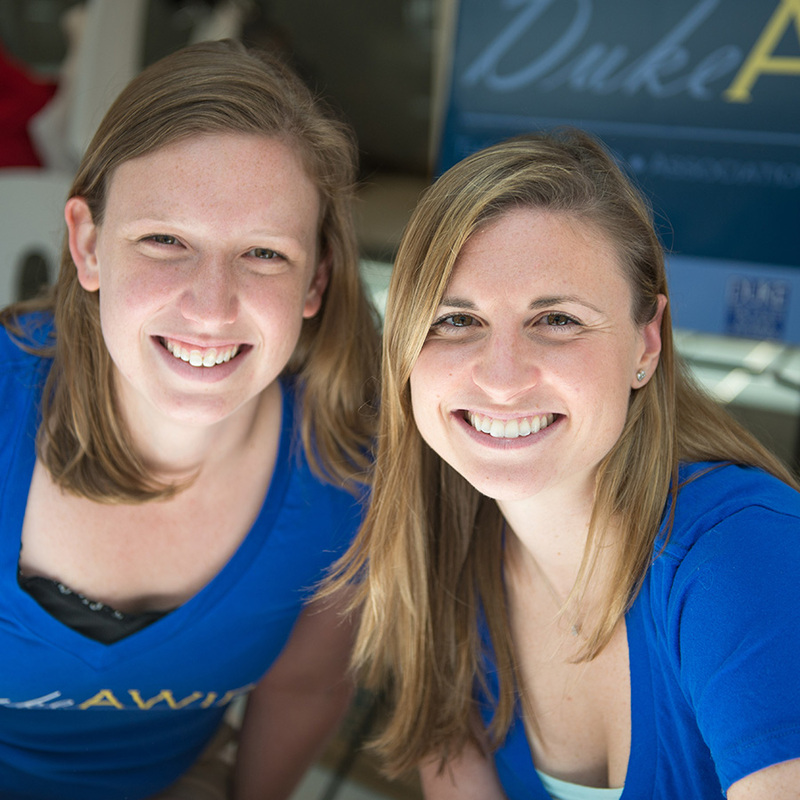 You’ll learn about our clubs, our curriculum and different career paths, all while getting a feel for life in business school and connecting with members of the Fuqua community in Durham and beyond. Part of a 35+ year tradition co-hosted by our Black and Latino MBA Organization, the Workshop for Minority Applicants typically brings back over 60 alumni passionate about providing you insight on their Fuqua experience and the strength of our network. You'll spend the weekend engaging with student and alumni panels, attending workshops, and learning more about the school and our culture. Class visits, socials, networking events and admissions working sessions combine to provide you a robust overview of what your future might look like at Fuqua. We value the experience military professionals bring to the classroom and beyond, actively recruiting military personnel and veterans for all of our graduate business programs. 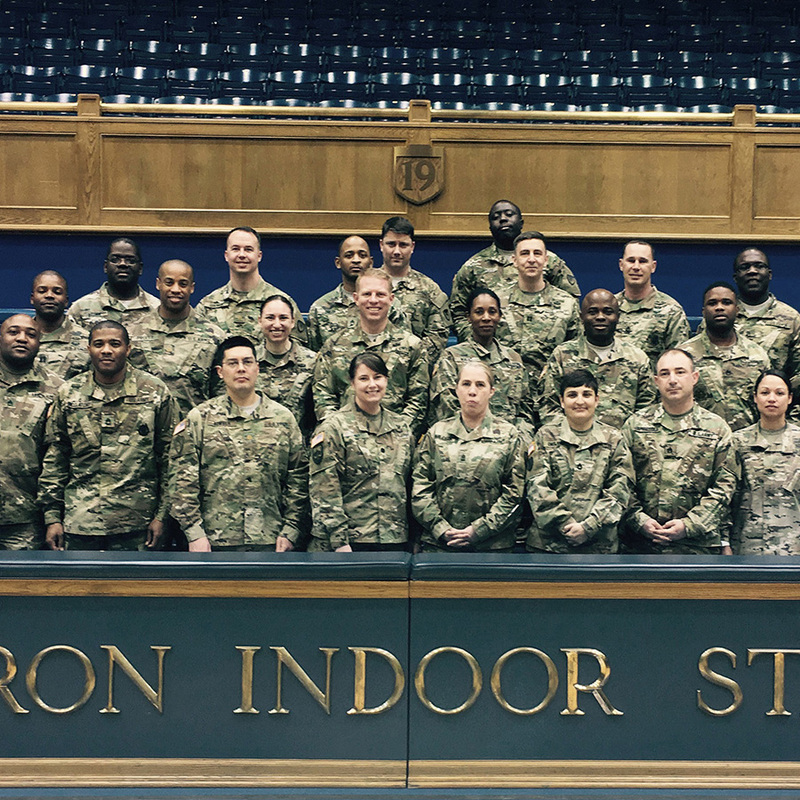 At our annual Veterans Symposium, co-hosted by Duke Armed Forces Association, you’ll learn the basics about graduate management education and the admissions process, and hear from alumni who have transitioned from the military into civilian roles and those who have parlayed their MBA into successful military careers. Panel discussions offer insights on how to translate military leadership into business leadership, how to present your military experience in a professional resume, how to approach your admissions interview, and the experience of alumni and current students in our veteran community. Openness and inclusion are strong values in our community. We are committed to increasing the representation of different backgrounds and viewpoints in our classes and within business. 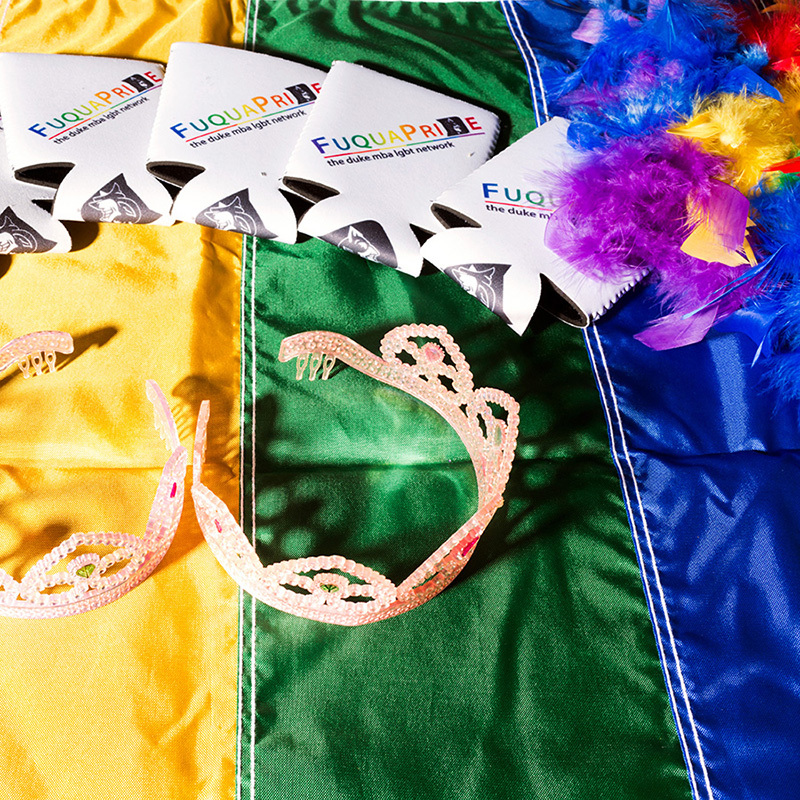 The Duke LGBTQ Weekend is co-hosted by FuquaPride, our lesbian, gay, bisexual, transgender, and straight ally organization. Participants experience business school life by sitting in on classes and networking with students, faculty, and alumni. You’ll interview with the admissions team and engage with members of FuquaPride to learn more about LGBTQ life at Fuqua.